Are Mummy Friends Real Friends? Since I started wearing the Mummy badge over three years ago I’ve acquired a growing number of Mummy friends. We all know being a Mum can be a lonely existence, days filled with nappy changes, feedings and windings can all roll into one and, for me, getting out the house and meeting other Mum’s has always been a life saver. It’s not just a sanity saver with a newborn, even now with a hyperactive pre-schooler charging about, meeting up with Mummy friends allows the mini me’s to tire each other out whilst us Mum’s attempt to hold an adult conversation. As someone who has never gone in for large friendship groups I do find myself wondering whether Mummy friends are real friends or are they simply friendships of convenience to help get you through the first few years of parenting with a shred of sanity intact? 1. Antenatal classes – back when I was a first time Mum-to-be and I naively believed I’d be one of those of parents with a baby sleeping peacefully through the night from 6 weeks old (pa ha ha ha – hello Colic!) we decided to join an NCT antenatal class. This gave me a readymade group of local friends who were all expecting babies around the same time as me. It was super easy to join this social group and helped me get out the house in those first few months when you’re knackered, hormonal and wondering what on earth just happened to your life. Three plus years later we’ve all returned to work, some of us have had second sproglets and sure, some of us have grown apart but I still see some of these lovely ladies every week and our mini me’s are best buds! 2. Baby groups – aaarrrgghhh! The dreaded baby groups. No two baby groups are alike and this topic is completely deserving of its own post (for another day!) but baby groups can sometimes help you meet local mums. A word of warning – some are super friendly and some are super clicky. If you go to one and don’t like it try another as they’re really not all the same. 3. Friends of friends – once you have a few Mummy friends they may bring other Mummy friends to play dates so your network grows organically. It’s one of those funny things – the more Mum’s you know the more you seem to meet. 4. Existing friends - several of my ‘regular’ friends had already begun their procreation journey prior to mine so you pop one out yourself and bang(!) a regular friend is suddenly promoted to a Mummy friend. This also works the other way, one of my closest Uni friends has just joined the Mum club and I’m thrilled to be one of her first Mummy friends. Parks - hang out for long enough at your local park and you’re bound to bump into other Mum’s. Sproglets are fitted with a homing device for other children and they seem to be naturally drawn to one another. However, this only really works if you live somewhere with a population larger than 500 people (which I don’t!) so sadly we’re more likely to see a red squirrel in our village park than another Mum and child combo. 5. Tinder for Mum’s – there are a growing number of ‘dating’ sites for Mums – Mummy Social and Mush to name a few. If you’re struggling to meet Mum’s or simply want to widen your network then take a look and reach out to someone. I wanted to meet more Mum’s who had two or more sproglets when I had Lucy and have met a fab Mum with kiddywinks the same age as mine so I’d definitely recommend giving it a try. So you’ve taken the plunge and got out there. You’ve met some Mum’s and have even had a few playdates. Can you now call them ‘real’ friends or are they simply acquaintances of the moment? ‘We have nothing in common’ you exclaim! Well this is the thing – you do, you’re both Mum’s. Sure there are the breastfeeding, baby wearing, baby led weaning Mum’s and then the bottle feeding, pram pushing, ready-made baby food weaning Mum’s and every combination and everything in between but once you become a Mum that’s it – you’re in the club. Think about your ‘regular’ friends. Are they all carbon copies of each other? Of course not! How many work friends have you had over the years that you’ve shared plenty of laughs with over a cheeky glass of vino at the Crimbo party but haven’t seen since you left the company 5 years ago? It’s ok. Not all friendships are meant to last forever and many are just timely partnerships. That said, think of your closest friends. How did you meet? Yes perhaps some you’ve known since Mrs Jones taught you in year 3 way back in the late 80’s but the chances are at least one of your closest confidants, advisors and, more importantly, wine drinking buddies you will have met in the last 5 years. Yes, some Mummy friendships are clearly friendships of convenience. 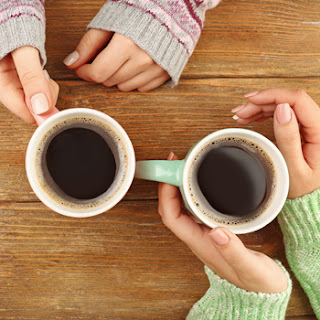 Your kiddywinks get along and a natter over a cup of java with their Mum helps you get through the day. But if you’re really lucky, like me, some of your Mummy friends will watch you go through some of the toughest moments of your life and will be there to laugh at the insanity of parenthood with you and pass you a tissue when you’re surviving on 6 hours sleep for the last 4 days. So yes, Mummy friends can absolutely can be real friends and friends that see you at your best and at your worst. So, if you haven’t found your Mummy tribe yet, keep looking, it’s definitely worth it!